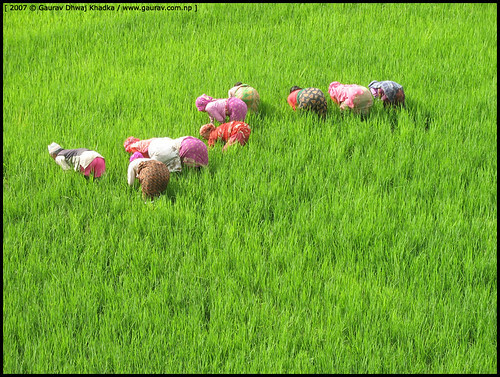 Looking and picking up the grass that grown under the paddy field. Taken after the 15 days of transplanting paddy seedling. 9 Women and 1 man. She did not sleep last night, and her eyes are talking with me a loud about the last night fight. She cries like a river. So I lost all the battle with her. You are currently browsing the NEPALPHOTOGRAPHY.org blog archives for July, 2007.